There may be no entity on Earth happier about the return of Tigermania than Bridgestone Golf. When Tiger plays, more people watch and the better Tiger plays, the more closeups of Tiger’s ball. And as Tiger’s ball is the Bridgestone Tour B XS, you can’t put a price tag on that kind of branding gold. Tiger still moves the needle like no golfer since Arnie, and Bridgestone is riding that wave. In a company press release, Bridgestone is claiming more than double sell-through of balls at national retail partners in the weeks that Tiger plays when compared to last year. The company also says it sees a similar increase in eCommerce sales. 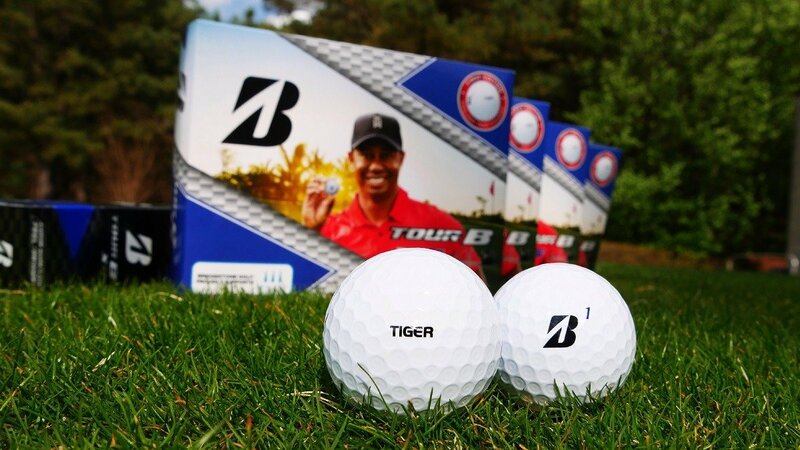 So with proverbial iron red hot, why not capitalize with Limited Edition Tour B XS Tiger Woods Edition balls? These are Bridgestone’s normal Tour B XS balls, but with the same custom TIGER personalization Tiger uses on his gamers. 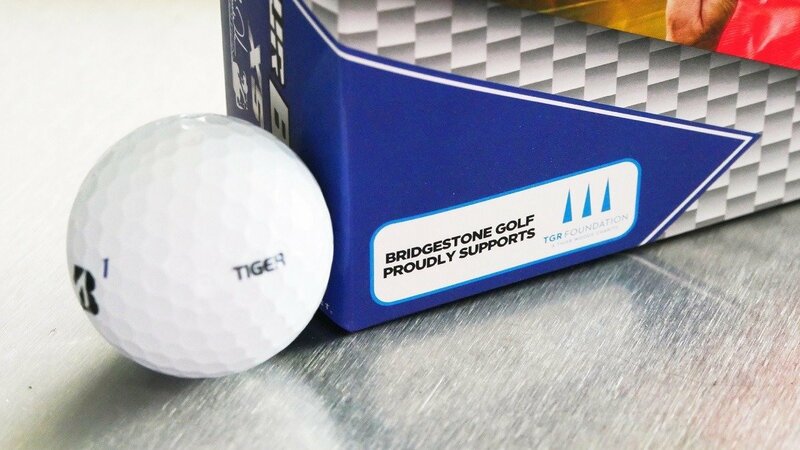 You also get a sweet Tiger box, and Bridgestone donates a portion of the profits to the TGR Foundation. The program has served more than 165,000 students (88% are minority, 85% lie below the poverty line and 97% are first in their families to ever attend college), introducing them to STEM – or Science, Technology, Engineering, and Math – education. According to TGR’s website, the foundation helps students in need to thrive in school, their communities, and the working world. The Earl Woods Scholar Program enjoys a 98.7% graduation rate, one of the highest rates for a scholarship program in the U.S. The Tiger Edition balls will retail for $49.99 per dozen – 5 bucks more than the non-Tiger models – and will be available beginning April 1st. Bridgestone’s online ball fitting program is taking a bit of a leap forward with Find My Ball. The new fitting tool gives you three options: I’m New To The Game, I Know My Game, and I’ve Been Fitted. I’m New To The Game is, obviously, for newbies and simply asks for your average score and your preference for either feel, accuracy or distance. I Know My Game is a little more in depth, asking for your age, gender, and current ball brand and model along with your average score and performance preference. I’ve Been Fitted asks for launch monitor data, including driver club head speed, carry and total distance, ball velocity, launch angle, and spin, as well as current ball, average score, and performance preference. Once you give Bridgestone your email address, it’ll make a ball recommendation and direct you to retailers as well as provide you with a link to buy online directly from Bridgestone. You also get a reliability score – obviously, the more info you provide the more confident Bridgestone is with its recommendation. 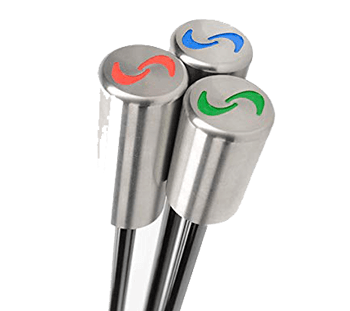 There are limitations to this type of online fitting tool, but then again, there are limitations to an in-person ball-fitting as well. Bridgestone bases its online recommendations on data collected from its in-person fittings. FYI: Inside word is that demand for this is off the charts, not just in the US, all over the world they cant produce fast enough to keep up. Nike did the same thing years ago with a “TW” marked on the balls. Where’s a Jim Furyck ball when you need one?! Tiger this Tiger that. Enough !, Just go away quickly. Golf was doing fine without you. I understand the marketing behind using Tigers name Everywhere but I don’t see this moving the needle so to speak for Bridgestone’s bottom line. I believe they are in a decline in the ball market share & this just proves it. Use Tiger as a the spokesman that he is to get them out of a hole. What if Tiger hadn’t come back? Or what if he wasn’t playing as well as he is now? Would they still have released the ball and the advertisement? Hmmmm …. 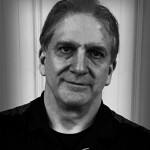 If Bridgestone keeps only $.50 of the $5 upcharge and gives the rest to charity it’s going to affect their bottom line. It costs, what, $.01 to mark these balls? The charity donation is an A+ marketing play. What percentage? Why not state how much? Ill tell you how much….. The €5 they charge extra IF even that!! So the consumer is basically making the donation, not Bridgestone from their profits as they claim. A nice tax write off, which the consumer has actually paid for. Put the Detroit Tiger colors on it. No thanks,time to stop treating “Tiger” like God.Every where you turn it’s all Tiger,like no one else is playing. Enough already,now a golf ball with Tiger on it,won’t help my game.Let him give some of his millions to charity if they need more cash. Tiger IS God… and henceforth thy golf game shall ne’r improve, for He hath smote it. Look I get it if you don’t want to buy these golf balls. I prefer to direct my charity dollars differently so I am right there with you on that. I also get it that you don’t want to treat “Tiger” like god. So that is something else we agree on. My initial, knee jerk reaction to this whole thing was much the same as yours. But after thinking about it for a little while I wonder if we may not have completely thought this through? You may not agree with me but, upon reflection, in general, it seems that generating money for charity is not a bad thing, its a good thing. And after all, Tiger puts his money where his mouth is, he has given more than just some of his millions to charity already and continues to do so. In addition, as I think about it a little more, Tiger’s impact on charity goes far beyond what he personally has given. As we have been told for the last several years, Tiger’s impact on golf in general and his impact on prize money in particular has been substantial. A significant amount of the extra prize money that individual players have made have undoubtedly, found their way into charitable causes. More than would have been available with lesser purses. On top of that the tournaments themselves are huge charity money generators. Tiger’s influence has brought more money into the game for tournament sponsors as well. That has allowed sponsors in turn to amp up their giving. As I consider it, what ever else people think of Tiger, his impact on golf related charity giving has been huge. A lot of good things have happened to a lot of deserving people because of Tiger Woods. In the final analysis, it is probably a legacy that may too often lie deep in the shadows of everything else that surrounds the man. So if Tiger wants to leverage his name for charity who am I to look down on him for that? Make them orange with Tiger stripes , give volvik a run for their money!!!!! So for $5 more all you get is a plain text “TIGER” on the ball not even the TW logo? Pretty sure TGW was just running a free personalzation on balls why not just order those with TIGER written on them? Come on!! That’s a poor effort at branding with a TIGER logo with little style and image. It really needs something more outstanding to define such an outstanding image. I agree Peter, perhaps a more fitting image or logo that would define him. Maybe the logo from Perkins would be more appropriate. Are they crooked off the driver just to make them realistic? An extra five for charity. No thanks. And the endless golfers who think they impress others with tiger stamped on their balls? Another no thanks. And yet more golfers thinking they will ever hit one shot like tiger, really? Will Tiger now need to mark his ball in some other way for tournament rounds, now that there will be so many like his in circulation? No, that way if he loses his ball in the overgrowth & happens to find another lost one, he can claim it was his & play it! Although I agree with your comment that TW has bent the rules on several occasions, I think your comment about Vijay is reckless. He was caught cheating once many years ago and you thyink he is worse than TW. Lexi Thompson got caught cheating a year ago, so according to your logic she is worse than TW as well..
All the Tiger fans can throw extra balls on the fairway and let Tiger pick the best lie… Hehe, of course joking because you bring up a valid point.